CCTV footage has captured the moment a teenager punched a woman who rejected his chat-up line, in a disgusting display of violence and assumed privilege. 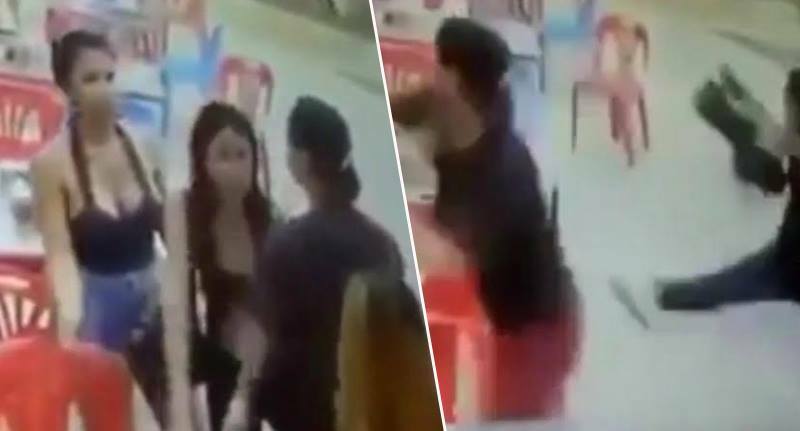 An arrogant and quick-tempered 19-year-old, Puen Thanacha, was caught on camera attempting to woo two women and becoming irate when they refused his advances. 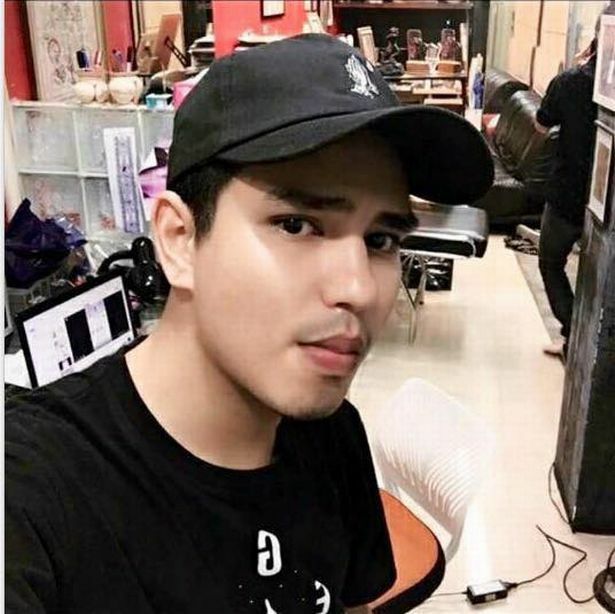 The footage shows Thanacha – who can be heard claiming to be the son of a policeman and yelling, “Don’t you know who I am” – throw a hot bowl of noodles over one of his victims. Reacting, the unidentified victim throws a glass over Thanacha after he burnt her with the hot food. He responded in a violent rage by punching and kicking her. 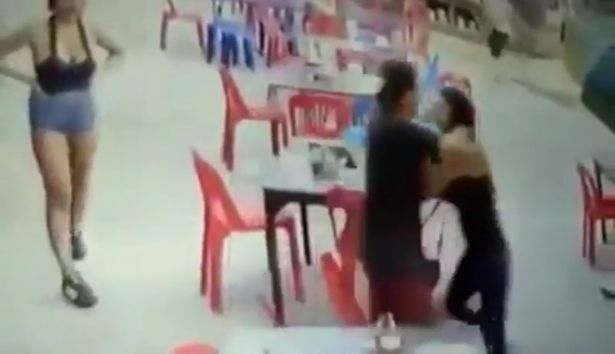 With his girlfriend standing idly by, Thanacha proceeds to strangle the third woman caught up in his violent rage. The incident happened at the Central Festival shopping centre and food court on the island of Ko Samui, Thailand. I know that this event occurred on the evening of May 6 after the victim has come to the inquiry and was questioned. The victim came with another girl who was eating at the table. There was a teenage Thai man walking to the table with a friend and interested in her phone number. But the victim refused and told the man to leave. This made the teenager dissatisfied and he said, “Who are you? I’m the son of a policeman”. A fight then ensued. Initially, the victim was examined at the hospital. In a bizarre twist, the two victims claim the man was lying about his identity to impress them. A police investigation into the matter was conducted. The victim later accepted 10,000 Thai baht in settlement so as not to “prolong the matter”.